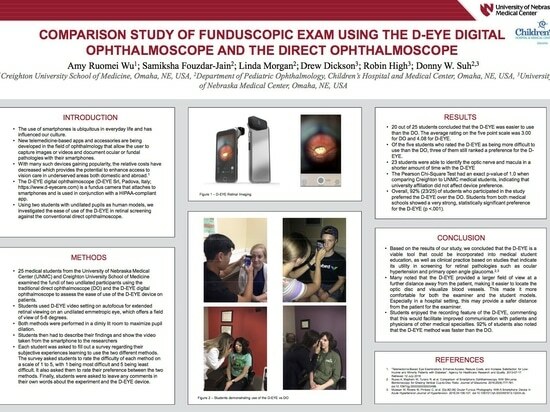 25 medical students from the University of Nebraska Medical Center (UNMC) and Creighton University School of Medicine examined the fundi of two undilated participants using the traditional direct ophthalmoscope (DO) and the D-EYE digital ophthalmoscope to assess the ease of use of the D-EYE device on patients. 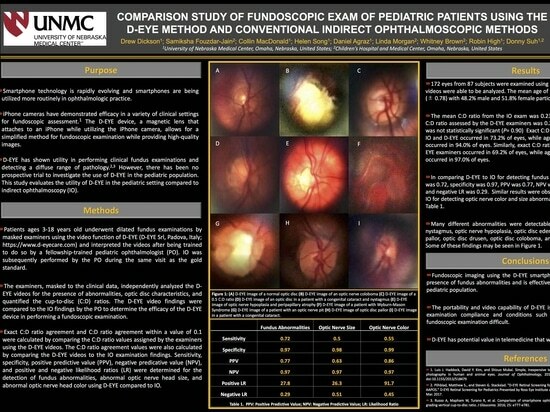 Based on the results of our study, we concluded that the D-EYE is a viable tool that could be incorporated into medical student education, as well as clinical practice based on studies that indicate its utility in screening for retinal pathologies such as ocular hypertension and primary open angle glaucoma. 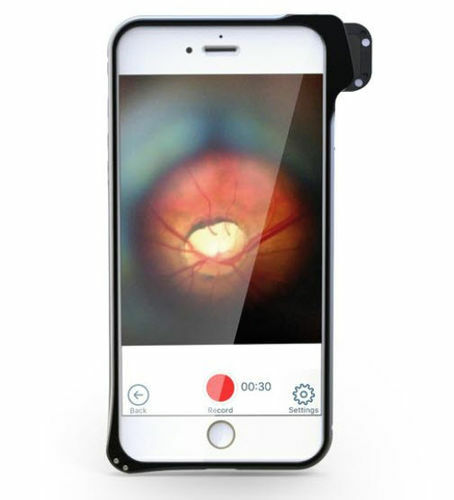 Many noted that the D-EYE provided a larger field of view at a further distance away from the patient, making it easier to locate the optic disc and visualize blood vessels. 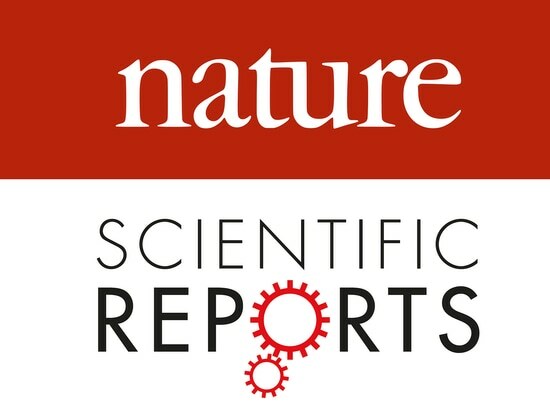 This made it more comfortable for both the examiner and the student models. 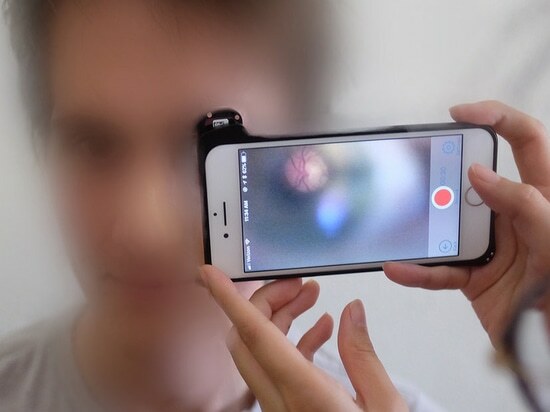 Especially in a hospital setting, this may provide a safer distance from the patient for the examiner. 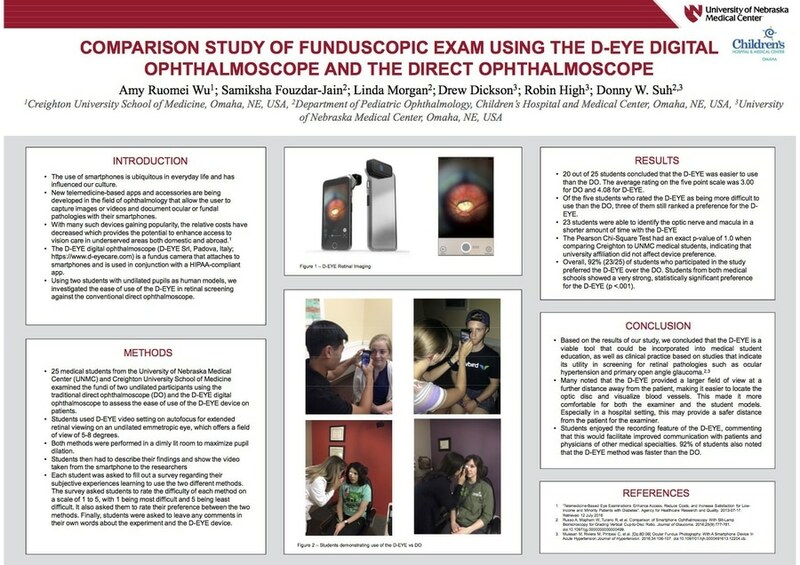 Students enjoyed the recording feature of the D-EYE, commenting that this would facilitate improved communication with patients and physicians of other medical specialties. 92% of students also noted that the D-EYE method was faster than the DO.